What does theory have to do with the concept-let alone the practice-of diplomacy? More than we might think, as Costas M. Constantinou amply demonstrates in this ambitious reconsideration of both the concept of diplomacy and the working of theory. 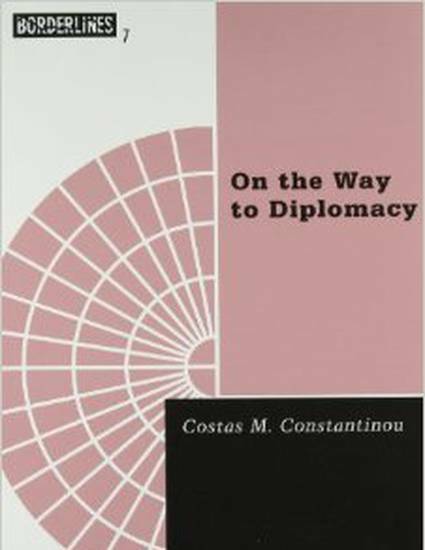 Here, Constantinou focuses on the language that underwrites and directs theory and diplomacy, and shows that such a critical approach is actually a way of practicing politics. Constantinou underscores the original intertextual association between theory and diplomacy by employing the ancient Greek term theoria. Theoria once referred to both philosophical thinking and a sacred embassy sent to discharge a religious duty. The use of the term in this book leads to a new view of theory and diplomacy. Constantinou considers the structures of diplomacy and theory together with the notion of representation that is peculiar to Western metaphysical thought. A deconstruction of diplomacy itself, this work bridges classical and contemporary philosophy, ancient and modern political practice, and, ultimately, politics and the arts in general. It will alter the study, understanding, and practice of diplomacy.